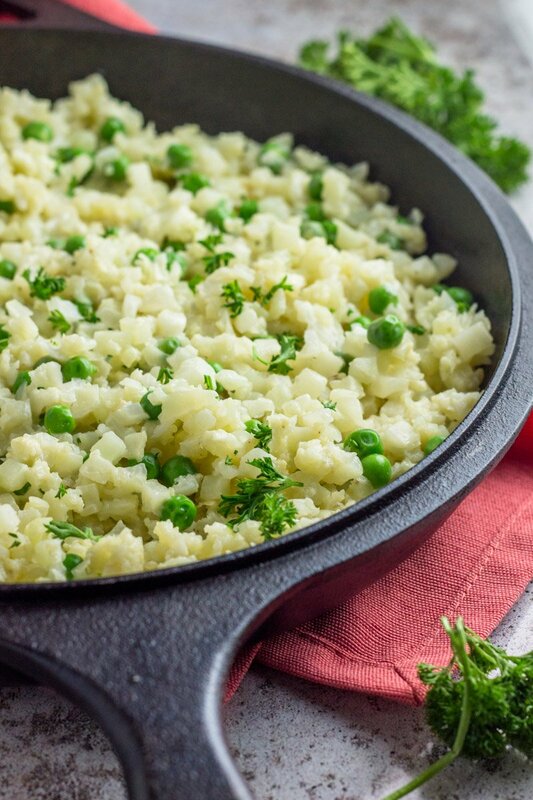 THE dish to try this spring – pea and goat cheese cauliflower rice risotto. 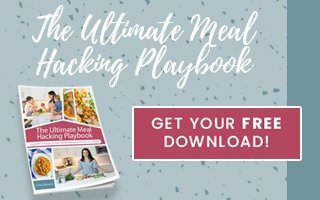 It’s a one pot meal made in under 20 minutes, with drastically less carbs than traditional risotto. 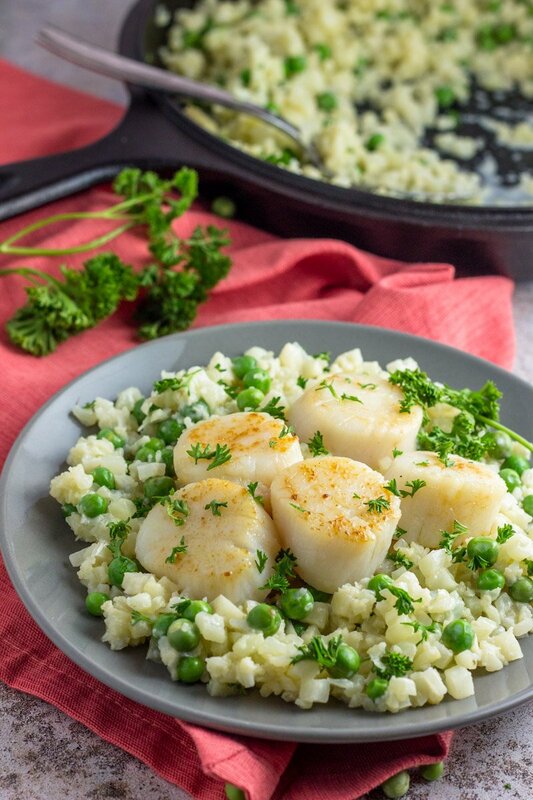 The perfect meatless meal anytime of day, or add scallops for a fancy date night in! Simple ingredients and big flavor. Woah, the last month has been a total blur. Where the heck did March even go?! Considering time has been moving at snail speed for me lately, it’s crazy how last month came and went in the blink of an eye. I’ve had a steady stream of family visiting the past few weeks which was SO awesome, and when my mom and sis come to visit, I do all the things I don’t normally make time to do. Like shop. To my defense, I never (ever) shop. My wardrobe is so dated and my ‘style’ has turned in to ‘whatever-is-clean’ and stupidly low maintenance. It’s not like I WANT to look frumpy or disheveled – but for the past 3+ years my sole focus has been keeping two little humans alive, not looking adorably trendy and put-together. But it was time. It was SO time to clean out my closet and buy new clothes. Not ugly mom clothes either. I was set to buy clothes that were functional yet trendy. Clothes that accentuated things I liked about myself. Clothes that made feel cute again. REAL clothes (not yoga pants). Naturally when a mom or sister comes to visit, those peeps are the best peeps to take shopping. They’re totally game to spend the day hunting with you, brutally honest, and there’s no weirdness when you split ways and meet half naked again the dressing room. Here’s what I ended up purchasing: a new wallet, sandals, styling spray, earrings and a necklace, shoes for the boys, a shirt for my husband, and the most darling handbag I don’t need but couldn’t walk away from. Back to square one of looking like a frump in old H&M tank tops from my pre-kids era. Sigh. Someday I shall look adorable. I guess this just isn’t the season. Another thing I did when my mom and sister were here: made this pea and goat cheese cauliflower rice risotto. Since I rarely incorporate dairy in my recipes, I figured if I was going to shop, I was also going to eat cheese. When in Rome. In my defense (again), goat cheese is a little easier to digest than most others, and HELLO it’s goat cheese – aka freaking delicious. Especially in this risotto-inspired meal you can throw down in just minutes. MINUTES people. Risotto without the heavy carbs? You bet – no more carb loading like you’re running the Boston Marathon the next morning. 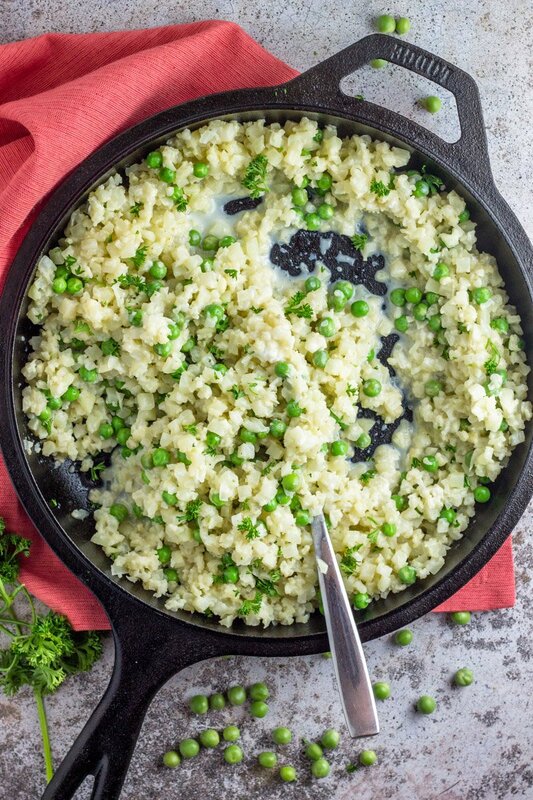 The cauliflower rice in this pea and goat cheese cauliflower rice risotto yields such perfect consistency, you may never go back to ‘real’ risotto. 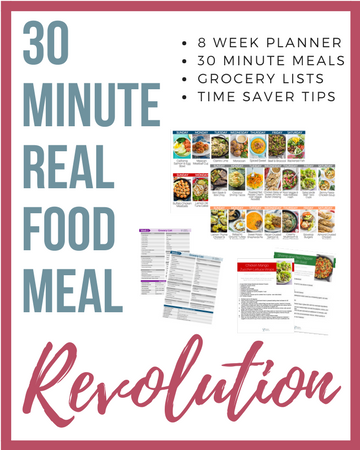 And with just a handful of simple ingredients, you can whip up with pea and goat cheese cauliflower rice risotto in under 20 minutes. The second I took a big ‘ol spoonful of this dish I feel deeply in love (almost as much as I love my new handbag, almost). It’s the perfect side dish for spring. 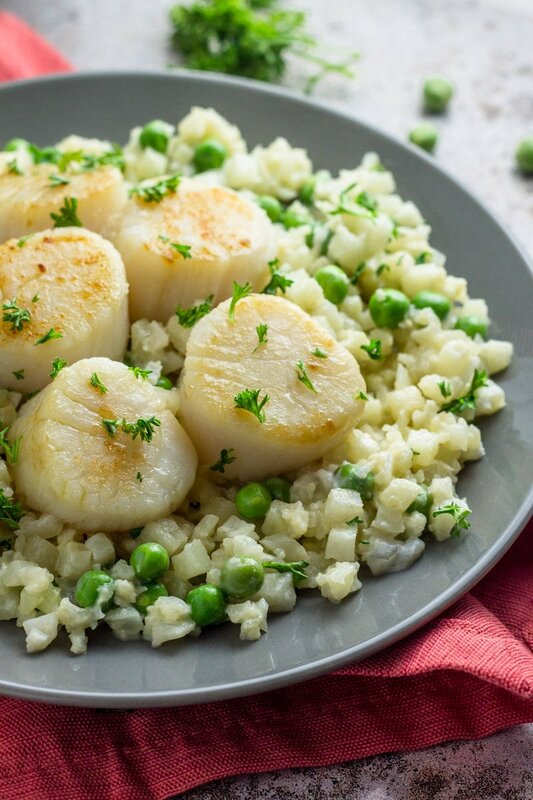 And if you’re feeling so obliged, add scallops for a fancy main meal that’s restaurant-worthy. It’s a must try this spring – trust me on this one! Here are some other spring one-pot recipes to add to the menu all month long: Whole30 Cream of Asparagus Baked Chicken, Fish Taco Balls over Pico De Gallo Slaw, Herby 30 Minute Chicken and Brussels Sprouts, and this Sheet Pan Flan Steak with Onions and Asparagus. A healthy, low carb take on traditional risotto. 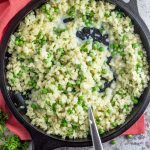 The pea and goat cheese cauliflower rice risotto is a one pot meal made in under 20 minutes. Simple ingredients, big flavor. Hi Christa! Do you think this could be made with frozen cauliflower rice?